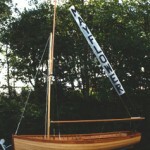 Grayhound is a 5/6ths scale replicate of a lugger built in 1776 by John Parkin, a boat builder from Cawsand, Cornwall. This 158 ton lugger has a slight mystery to its full history, however, it was known to be used as both excise and privateer vessel. The owners intend on using Grayhound for charter work world wide and also period film work. 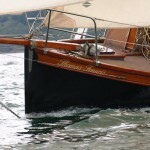 Top quality building of traditional wooden boats up to 32ft, including local (Cornwall) 'One Design' Racing yachts, Clinker or Corvel Rowing Dinghies, Motor Launches and Murray Petersons designs. 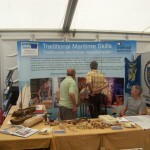 Full or Partial restoration/rebuilds of wooden craft undertaken and wooden masts, spars and flag poles are all custom made.